You'll be £14.99 closer to your next £10.00 credit when you purchase Goodwood - Over The Battlefield. What's this? 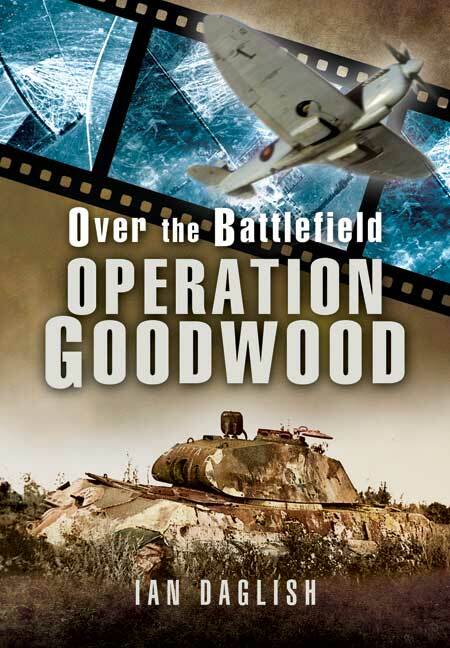 For the first book in our new series Over The Battlefield, we have chosen Ian Daglish to describe the events of Operation GOODWOOD, July 1944, the dramatic attempted British armoured break-out from the Normandy bridge-head. This was the greatest armoured battle undertaken by the British during the Second World War. What is so special about this book is the discovery and use of superb aerial photos taken during the fighting by the RAF. This amazing imagery makes it possible to trace the course of the battle and to track the movement of the armoured regiments and troops of both sides. The effect is sensational and the reader is able to follow history in the making. A well researched and engrossing read. This book brings a dimension to understanding the battlefield that is not often available with such clarity...A must for the Normandy Battleguide and a very readable and engaging narrative history (with bite) for the general reader.